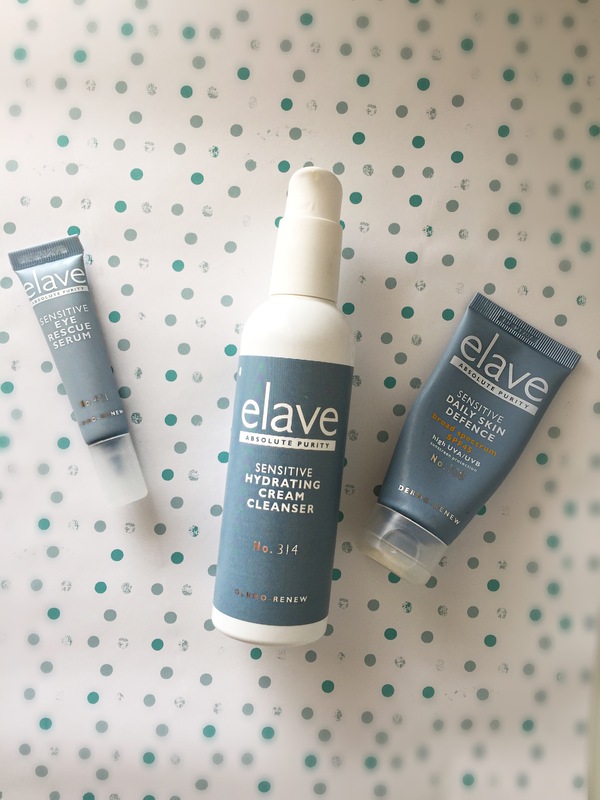 At long last I am finally getting around to reviewing the Elave skincare products that I have been trialling out since May. I wanted to be sure that I had a fair amount of time testing these products out before I concluded how I felt about them, hence the delay. Skincare is something that I think you can’t recommend on a whim without giving products enough time to see whether or not they are effective and also to be sure that they don’t cause any reactions or irritations down the line. I am sooo cautious about what I use on my skin, as I have explained in previous blog posts….. I have very sensitive skin that is prone to eczema, acne and allergic reactions. I was really excited to give these products a shot as I know that this Irish brand have been around for years and are well trusted, particularly among healthcare professionals, for treating skin conditions such as above. In order to keep these reviews short and sweet (and more importantly to the point! )…..I will be reviewing each of the products in separate blog posts over the coming days to avoid me rambling on for too long. So today I am soley going to focus on the eye serum and I will follow up with reviews on the other two products before the end of the week! Since hitting my mid twenties I am more concious of following a proper skincare routine as I know that if I look after my skin now, I hopefully should slow down the effects of ageing for the years to come. 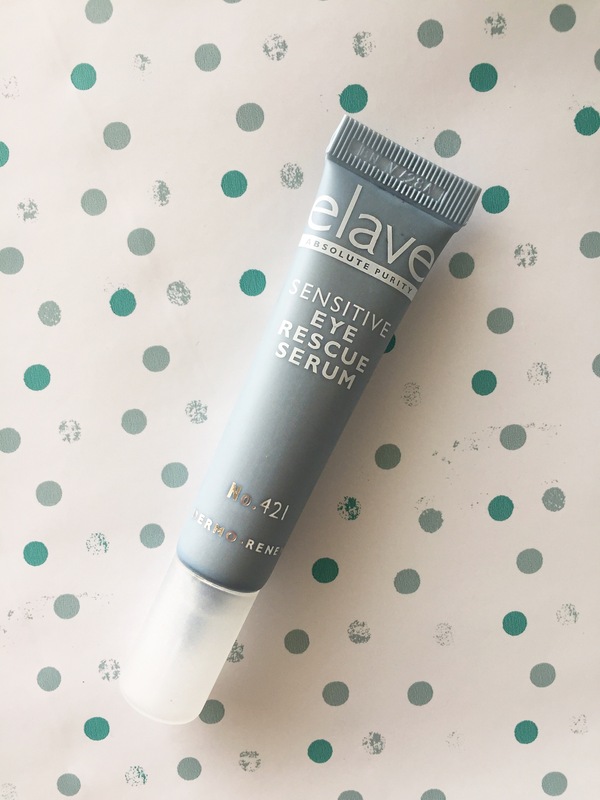 I hadn’t incorporated an eye serum into my skincare regime up until now, and to be honest, I was kind of sceptical about how much I actually needed one….. but I was very wrong, I wouldn’t be without it now! Since becoming a new mother – dark circles and tired, puffy, irritated eyes were something that I thought were just something I would have to grin and bare from the effect of sleepless nights. I had been cementing the concealer on to cover up the Panda look I was rocking and just hoping for the best that it would improve how woeful my eyes looked. I can only describe the feel of applying this serum as giving my skin an instant drink of water. It goes on like a gel consistency and is almost instantly absorbed into the lid and under eye. 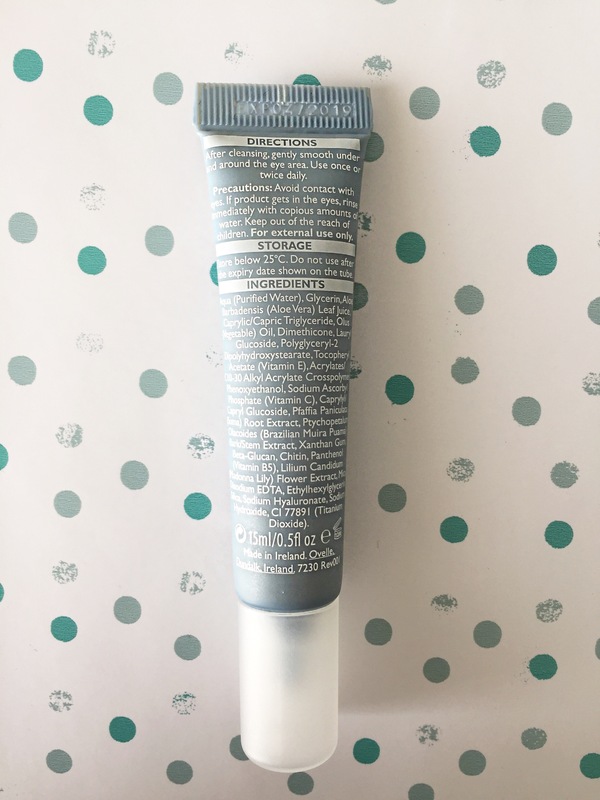 The skin around the eyes is the thinnest and most fragile therefore I am always expecting a stinging or burning with anything I use on my eye area (as I have explained…. I am a walking allergy!) . This serum is so lightweight and refreshing and is multi vitamin rich with natural humectants and bio extracts. It’s non greasy and leaves a matte finish which means that you can apply your eye make up shortly afterwards without any residue mixing into your eyeshadow etc. Elave pride themselves with being a very pure and natural skincare brand that are suitable for even the most sensitive skin. Their products are suitable to use in pregnancy and are dermatologically approved. This serum is also Ophthalmologist tested which is something I would be wary to check with anything I put near my eyes. The serum contains vitamin C, E and B5 which repair and hydrate the skin and render free radical damage harmless before they damage the skin’s healthy cells. These ingredients also help to increase collagen production (buh’ bye wrinkles!!) and slow down the formation of fine lines. Pro- Vitamin B5 is also renowned for it’s moisturising effects and anti-inflammatory action on the skin. Other ingredients include Aloe Vera which is instantly calming and soothing and packed with antioxidant vitamins and minerals which again, help to fight free radicals that can have detrimental effects to the skins’ overall appearance and health. Along with the above another key ingredient is Glycerin which occurs naturally in vegetable oils and acts as a skin barrier and humectant (to help retain water within the skin) this works greatly in unison with Dimethicone and Sodium Hyaluronate which can draw in one thousand times it’s own weight in water ; therefore plumping the skin and reducing the appearance of fine lines and crows feet. Overall I cannot recommend this no frills, ‘does what it says on the tin’ serum. I am fully confident in the ingredients listed, and I have read up on their actions upon the skin. I apply is morning and night and 100% will have this as a staple for my skin care going forward. It’s very reasonably priced in comparison to other serums on the market, and a little goes a long way! If you’re due to purchase a new eye serum I would definitely give this one a shot! Previous Breastfeeding and Weaning Update ….